Hooklift AL 160B Series, lifting capacities of 60,000 and 65,000 lbs. Ampliroll is designed to pick up, dump, transport and unload your containers safer and faster, that means larger profits for you. The telescopic Jib concept enables a perfect load distribution with all your bodies. Assuring versatility, durability and long life with minimal weight and maximum efficiency. Sliding Jib gives you greater range of body lengths and optimal weight distribution. 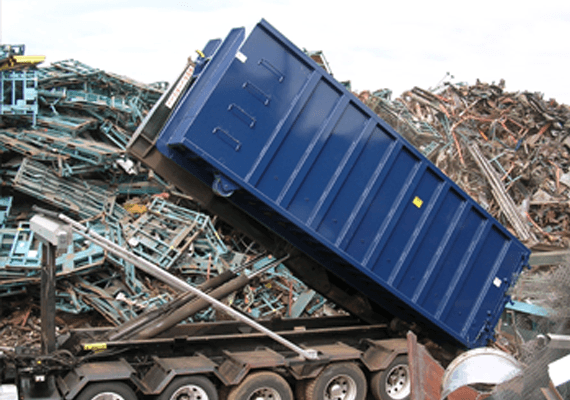 Twin Pivot allows you to dump a uniform pile of material. Dual Cylinders gives greater stability while dumping and loading. Safely operated from the drivers seat. Double your payload by pulling another body on a trailer. Maneuverable to operate, the container can be loaded within a 60 degree arc. Spot the container exactly were you want it, by pushing it into place with no damage. Quickly loads a body in less than one minute. Investment that will outlast your truck, Amplirolls® will last over 25 years. Meets all highway safety standards.